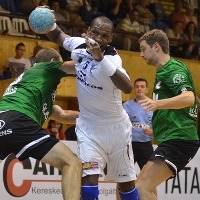 18.09.2013 - MATCH REVIEW: The qualification round 1 of the Men's EHF Cup has been completed as the last pairing played their both legs over Monday and Tuesday. Israeli champions emerged as the winners. 15.09.2013 - ROUND REVIEW: Seven teams joined the list of the EHF Cup Qualification Round 2 participants over the weekend. The last side to make the way from the Round 1 will be known on Tuesday as Maccabi Tyrec Tel Aviv host both legs against HC Lovćen Cetinje in Israel on Monday and Tuesday. 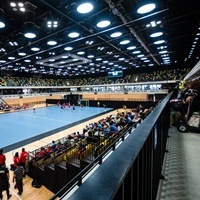 13.09.2013 - NEWS REPORT: The venue of the previous Olympic tournament hosted an attractive event organised by the British team London GD. The US champions from New York City won the tournament and also gave the hosts a welcome warm-up ahead of their EHF Cup clash in Turkey. 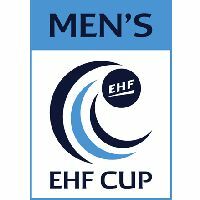 12.09.2013 - ROUND PREVIEW: While HC Meskov Brest from Belarus and Czech champions HBC Ronal Jičín are already through to the second qualification round for the EHF Cup, 18 teams will be trying to follow them this weekend, when the second leg of Round 1 is taking place.